Many businesses need hard assets before they can start. This includes items like commercial ovens, desks, shelves and displays, vehicles, and manufacturing equipment to name a few. It can be especially difficult for a business to attain these assets before it opens and has steady revenue. The same goes for assets needed to grow a business and take it to the next level. However, seeking financing on such items can help. Equipment financing, also known as equipment loans, means taking out a loan specifically to purchase hard assets for your business. Unlike many other types of business loans, the equipment itself acts as collateral. This makes this type of loan more attractive and accessible to those just starting out. In the simplest terms, equipment financing is a loan that you can take out with the sole purpose of purchasing equipment for your business. Since the equipment itself usually secures the loan, if you default on payment, the financing company will take the equipment away. After, they’re able to sell it to recoup some of its costs. An equipment loan is ideal for businesses that need an expensive piece of equipment long-term, but can’t afford to purchase it outright. A financing company will extend the majority of the capital (usually 80 to 90 percent), allowing your business to put down the remainder and pay the company back with interest in monthly increments. 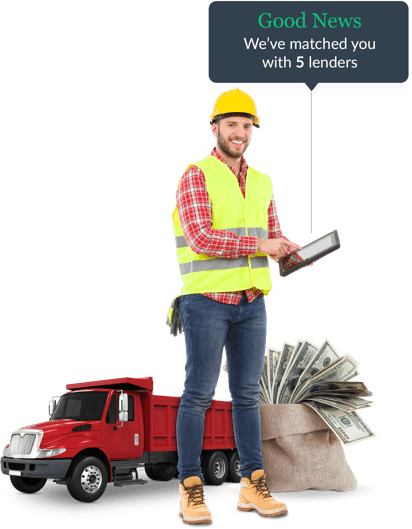 Depending on your business’ history, credit score, and individual needs, there are different types of equipment loans from a variety of lending companies. You can get business financing from traditional banks, credit unions, and online lenders. The U.S. Small Business Administration also offers a program to back equipment loans for small businesses in need of pricey machinery. Before you begin the search for the right equipment loan, prepare all of your paper work in advance. Make sure you have a thorough business plan that explains why you need the equipment and how it will help you expand your business. There are many online resources to help you compose a business plan that is instrumental in your company’s growth and impressive to potential lending companies and funding partners. As part of this process, determine exactly what kind of loan terms will work for you. Include how much you are prepared to pay on a monthly basis. Prior to applying for any business loan, it is smart to do a quick check of your credit score, both personally and for your business. 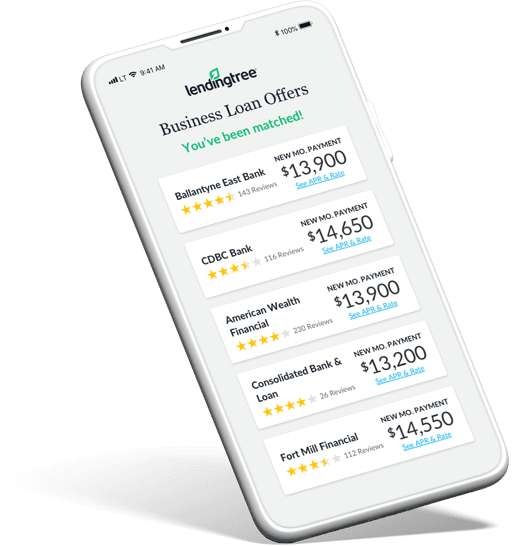 Potential lending companies will definitely be assessing your credit, and it is beneficial to have the best score possible. Be sure to check for errors if your score is not what you were expecting. If your credit score is not where it should be, it might make sense to hold off on pursuing a loan until you can do some credit repair work. You can shop for equipment loans in person by visiting local banks or credit unions. Your local SBA office or chamber of commerce can also be a good resource for you. 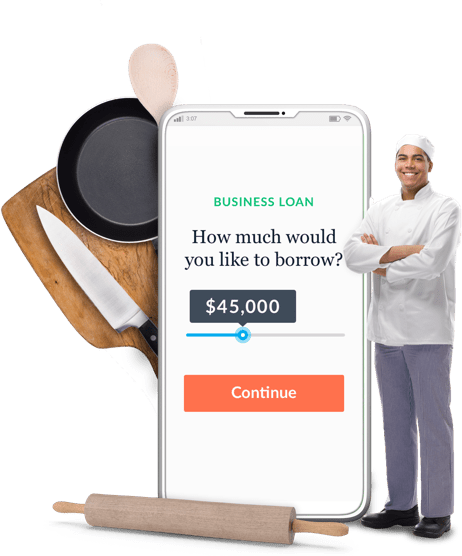 Many alternative lenders make it simple to research and browse loan options online from your home or office at any time of day. These companies will bring the offers to you and make it easy to compare and contrast equipment financing options. When you’ve found an option that seems to meet your needs, be sure to read the fine print before signing any contracts. You might also want to have a trusted financial advisor review it as well. After signing, your loan can be funded within a few days if you choose an online lender. Loans from traditional sources can take a bit longer to fund. Is equipment financing right for my business? If your business has good credit and is in need of equipment that it plans to use for a long time, an equipment loan may be a good fit. Also, this type of loan is optimal for startup businesses where the owners have good personal credit. The only caveat in these situations is the business must have cash for a down payment. If the equipment you are purchasing will be outdated or obsolete before the end of the loan term, equipment loans are not the best option. In situations where your business needs equipment, but you do not have a robust operational and credit history, or any money to put down, an equipment lease is likely to be a better fit. An equipment lease is also a good option for items that do not have a long useful life and that need to be replaced often. How much do equipment loans cost? An equipment loan is going to cost more than buying the equipment outright. However, if you don’t have the cash upfront, it might be the only way to secure the equipment your business needs. Even if you do have the cash, making small monthly payments can be more manageable for many companies than making a large one-time payment. Plus, it allows you to keep part of your money in savings in case of emergency. Most lending companies require that you make a 10-20 percent down payment in order to grant equipment financing. The larger the down payment, the lower your interest rate. In addition to interest, there can be a number of fees attached to your loan. These items can be an origination fee, application fee, appraisal fee, and early repayment fee. Make sure you read the contract carefully so you understand these added expenses and how they’ll impact your business. If you are not comfortable with the fees set forth, keep shopping. Fees will differ dramatically depending on the lending company and the specific loan product. On the bright side, the interest you pay on an equipment loan is tax deductible. This can benefit your business when it comes time for your annual filing. Leasing is another option for businesses that can’t afford or prefer not to purchase necessary equipment outright. Instead of borrowing money to purchase the equipment, with a lease, you’re paying a fee to essentially rent the equipment. At the end of a lease, you will not own the equipment like you will at the end of a loan, though some leasing companies do offer options that allow you to purchase the equipment at a discount when the lease term is up. A lease does not require a down payment like a loan does. That can be attractive to businesses that prefer to invest their money elsewhere. A lease usually features lower monthly payments than a loan. Unfortunately, it can be more expensive in the long term. This is because you generally don’t come away with anything at the end of the lease. There are some leases that offer the option to buy the equipment at the end for an extreme discount, like for $1 or 10 percent of the fair market value. However, these leases are much more expensive on a monthly basis because lending companies tack on interest to each payment. Some businesses prefer to lease equipment because the terms are more flexible than a loan. It can also be a smart choice when the equipment is not long-lasting and will need to be replaced within a couple of years. Examples include a software platform or medical device. Lease payments are tax deductible for a business unless the lease you choose is designed for your eventual purchase of the equipment.